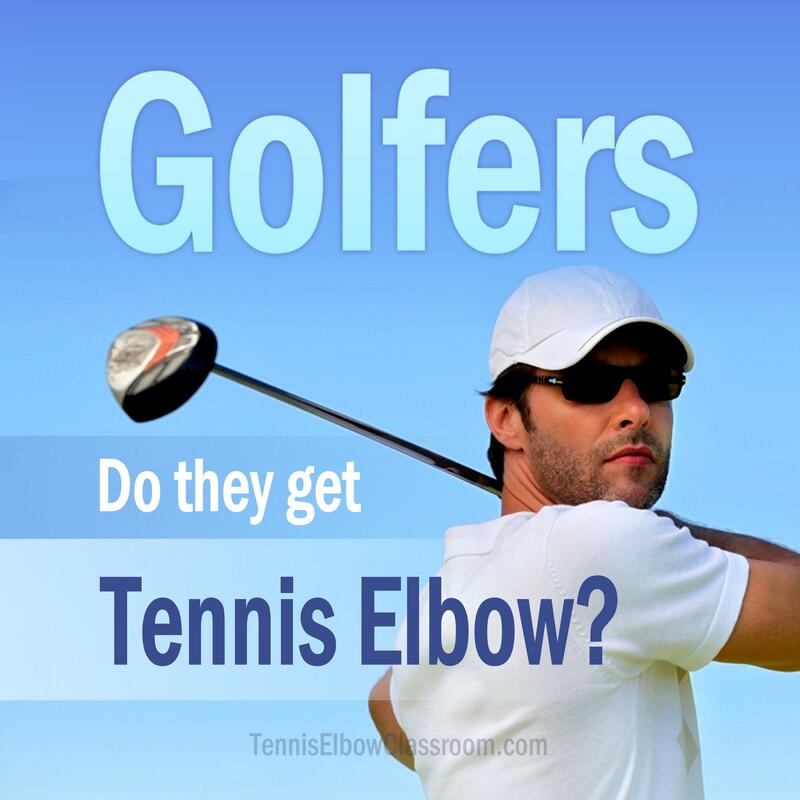 Do Golfers also get Tennis Elbow? Yes, quite often, in fact. 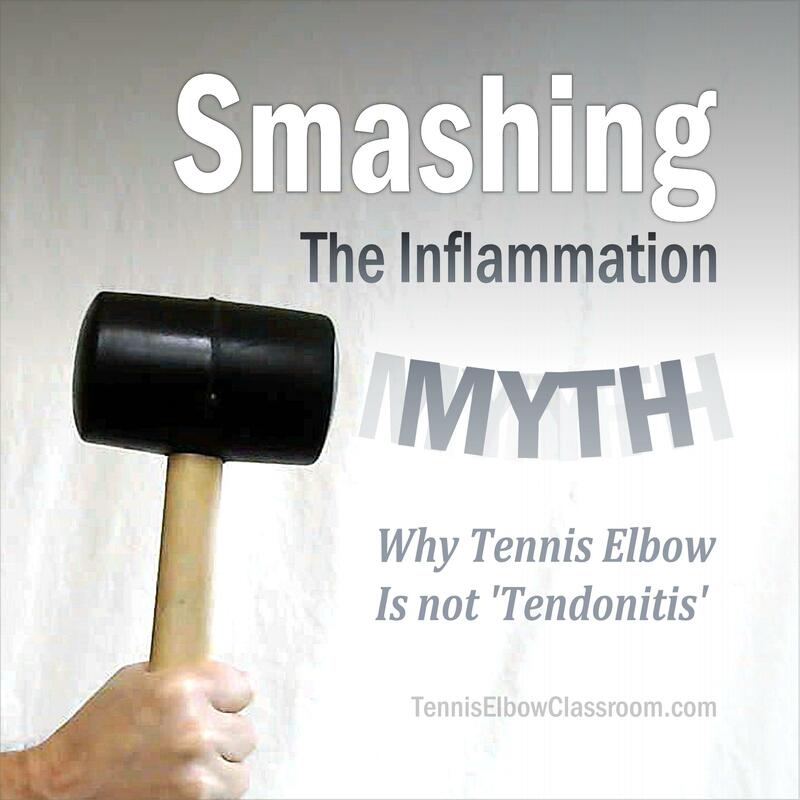 Curiously, a glance at golf magazine websites, medical studies and surveys suggests that not only do golfers get Tennis Elbow, they actually suffer this injury more often than Golfer's Elbow! 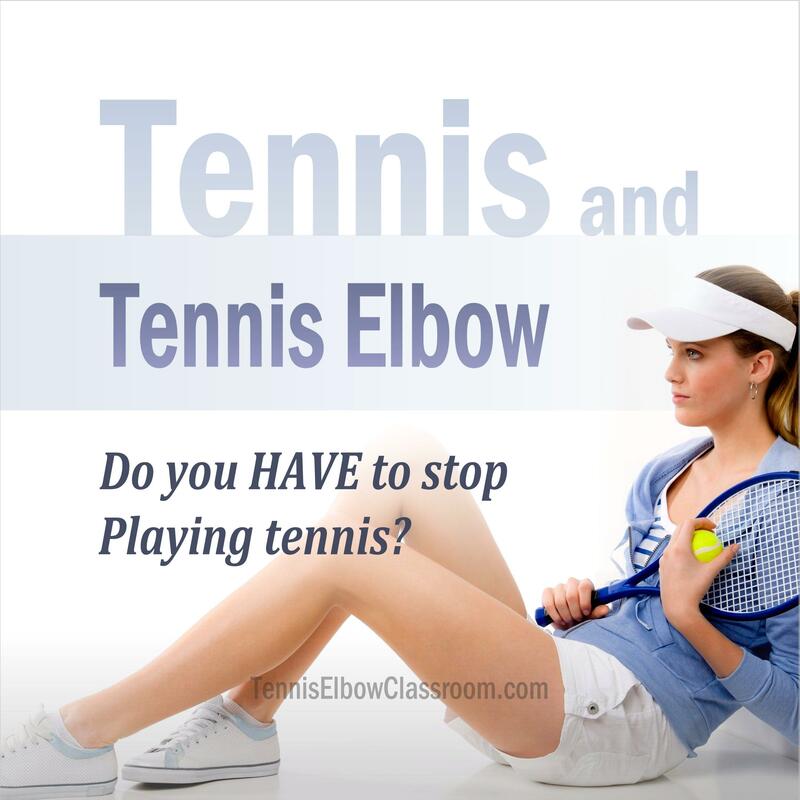 Is it completely necessary to stop playing tennis or golf when you have a Tennis Elbow injury? – Or can you "play through it" IF you’re careful? And if you decide to take time off to focus on healing and rehab, when is it safe to start playing again? 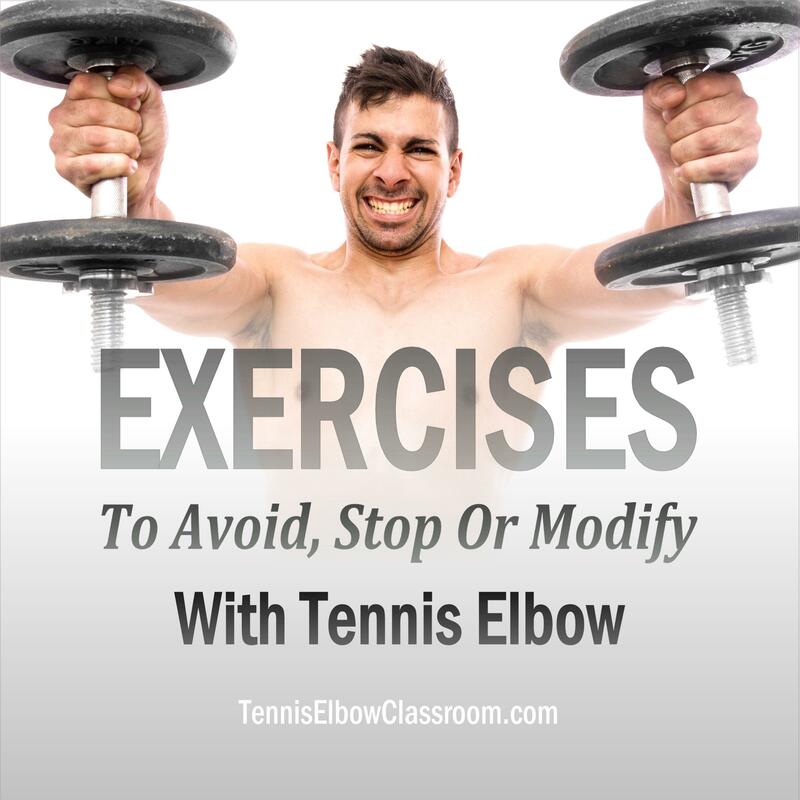 Which upper-body exercises should you avoid, stop for the time being or modify when you have a Tennis Elbow injury? Should you use dumbbells or is it better to use barbells? What about muscle isolation; is it better to do more general exercises and avoid getting too specific? 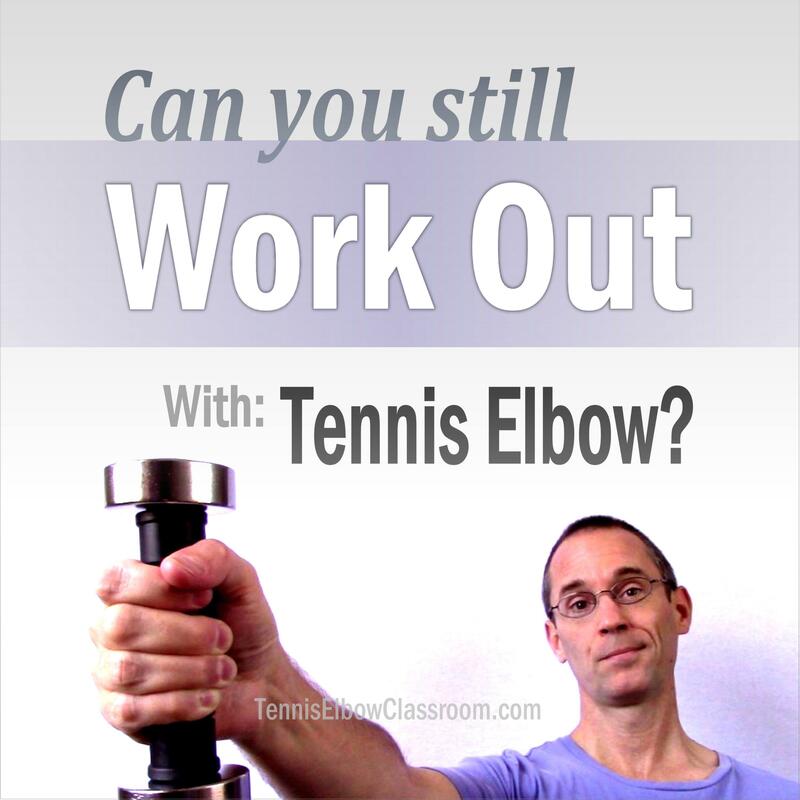 Should you continue working out with weights or doing any kind of upper-body strength-training exercise if you have Tennis Elbow? Weight lifting in the first place? From playing tennis or golf?